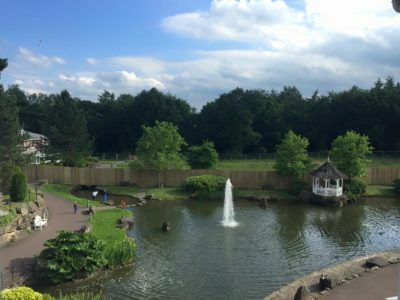 News round-up July 2016 – TowersStreet - Your premier Alton Towers guide! 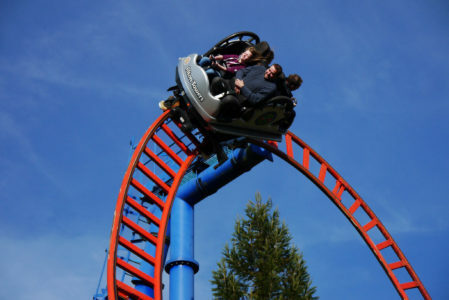 The summer season is well underway at Alton Towers Resort, with school trips over and the summer holidays in full swing! The Resort has seen a number of announcements over the past few months, and we keep you up to date in this news roundup. 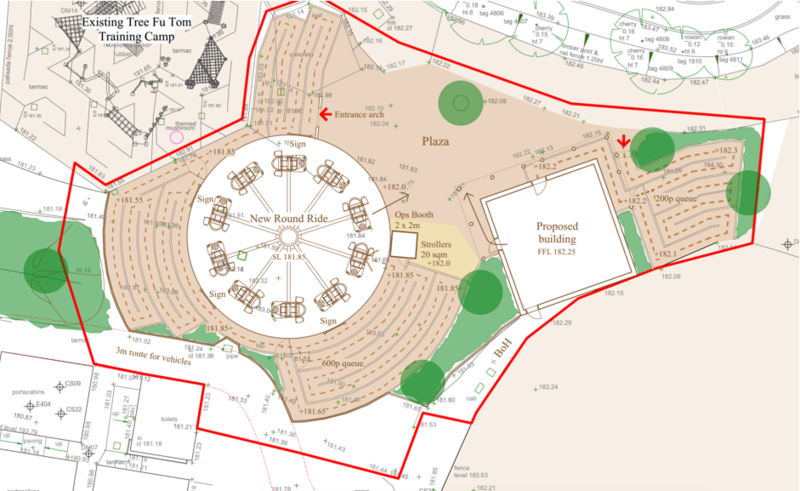 A few weeks ago we reported on plans submitted to the Staffordshire Moorlands District Council for an expansion to the existing CBeebies Land. A new ride and separate entertainment area are proposed for the space between the Tree Fu Tom Training Camp and the Big Fun Showtime arena. The new ride is similar to the Disney Flying Dumbo ride, featuring cars that will rise and fall while rotating in a circular motion. More information on the plans can be found in our dedicated construction archive. 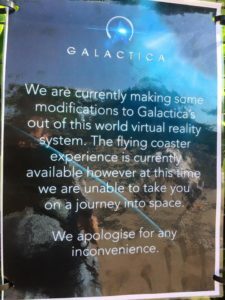 Galactica recently experienced a period of downtime, and when reopened was running without the VR element for a short period. We understand the headsets have been upgraded and so, fear not, the ride is now running again with VR to ensure passengers are able to take their flight into space. Scarefest is high on every Alton Towers fan’s agenda, and this year the announcements have come early! The Scarefest Hearse arrived on Towers Street only last week, with news of attractions coming shortly afterwards. The Resort have confirmed that Sub Species: The End Games, the park’s new for 2015 maze, will return once again for the 2016 event. Alongside this, a new maze “Skin Snatchers” has been revealed, promising to terrify all guests who go looking for the strange folk of Altonville. For those regular visitors who see the park on a rainy day, Spinball Whizzer used to be a single rider queue haven. Wet weather operations previously meant cars could only be filled with 3 guests, allowing many single riders to take advantage of bigger groups having to split up when boarding. Recently it has emerged that wet weather operation changes now mean only 2 guests can load per car. It is not clear whether these guidelines have come from the ride’s manufacturer Maurer Rides GmbH or from a park decision. While plans were submitted to the council back in May, there has not yet been a decision. Construction is scheduled to begin in September 2016 with a Spring 2018 opening forecast. We’ll bring you all the SW8 news as we get it. Stay with us here at TowersStreet as we continue to keep you up to date on all things Alton Towers Resort. Follow our Facebook and Twitter pages for news as we get it, and take a browse through the TowersStreet Talk forums for discussions on all the latest developments.